Channellock Versus the World: Is Channellock Keeping Up? So I’ve been mentioning Channellock a lot recently. I’ve been a devoted Channellock man for some time now, and they make good, durable products. Plus, I like that everything is “fiercely made in Meadville, PA.” I love my Tongue & Groove pliers, and they are never far from hand. With that said, I think Channellock is losing ground. You may think there isn’t much room for innovation in the world of pliers, but that’s exactly what companies like Irwin and Milwaukee are doing. Six months ago a pair of Irwin GrooveLock pliers found their way into my tool tote, and last July I attended the Milwaukee tool launch where they showcased some impressive hand-tools. Here are the improvements that my Tongue & Groove pliers are missing. 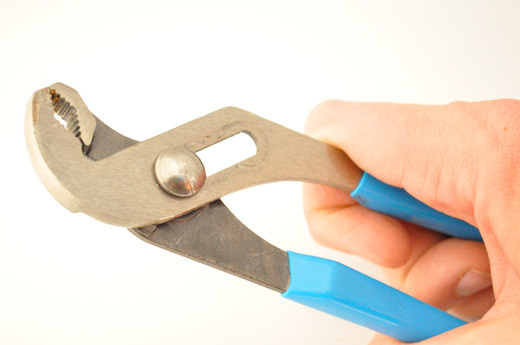 The elephant in the room is that Channellock pliers are not as easy to adjust. You have to fully open the jaws before they’ll slide to the next position. Irwin calls it “Press-n-Slide” while Milwaukee calls it “Quick Adjust.” No matter what you name it, you can adjust the jaw size on Irwin and Milwaukee pliers with the press of a button, and in a world that emphasizes faster, lighter, stronger, Channellock loses out. 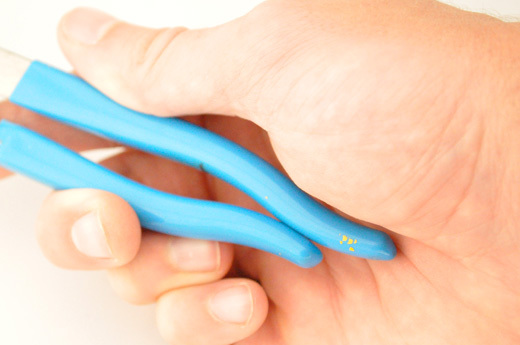 Have you ever tried to use pliers to grip something bigger than they were intended? I remember trying to get the oil filter off my car (I didn’t have a filter wrench), and just barely being able to grip it. Well the newer locking pliers have a wider jaw capacity than comparable Channellock’s. For instance the 12″ Tongue & Groove pliers have a 2-¼” jaw capacity while the Milwaukee and Irwin models have 2-¾” jaw capacity. Milwaukee was smart and added ridges to the handles for reaming pipe. Irwin took a different approach by ensuring the handles never pinch. Tongue & Groove pliers have been around since 1933, and of the 4 changes since, none have had anything to do with adding functionality to the handles. What do you think? Am I way off-base or do you expect more from Channellock too? To be fair, I think it’s an apples to oranges comparison since there’s an appreciable price difference. And isn’t Milwaukee come out with tongue and groove pliers in addition to their quick-adjust design? I have quite a few pliers that offer more features than similarly styled Channellock designs, but in the end I still find myself adding to my Channellock assortment. They’re very reasonably priced, well built, made in the USA, and the tried-and-true designs are undeniably durable and reliable. It could be that Channellock is loosing some market share here and there, but for the most part I don’t see many current or potential new users jumping ship. You’re right that there is a jump in price BUT I’d argue that people looking for T&G pliers would still consider the Milwaukee & Irwin pliers. I don’t think $13 really deters that many people. I love Channellock for the same reasons you do. I’m just curious if they’re working on something new here. The $13 is between Channellock and Milwaukee. Irwin pliers are really closely priced to Channellocks. Perhaps Channellock’s philosophy is to stick with tried and true designs that are made with durability and quality in mind. New features are great, but if you’re ever had a tool with extra features that break you begin to appreciate the simplicity of having to open your tongue and groove pliers to adjust them. At least you know they will always work because there are only three parts. There’s no doubt that Channellock’s are durable. The Irwin pliers I have look like quality construction too but only time will tell. While I have been tempted to buy some of the newer quick adjust pliers I can’t really justify it since my 13 year old pair of Channellocks are still going strong. And while I appreciate innovation I don’t like how thin the metal is on most of the Irwin pliers I’ve seen. And I don’t like that most of the other offerings out there are made in China or Taiwan. I”d much rather buy US or EU made products where I can be pretty sure that the factory workers are paid a decent living wage and work in reasonably safe conditions. 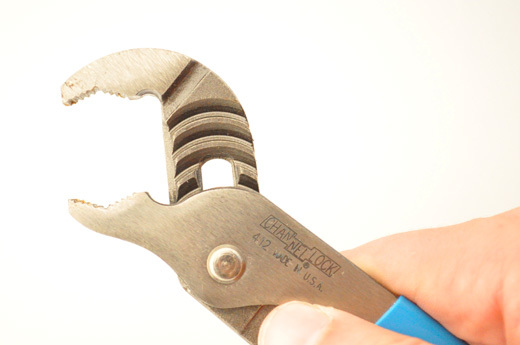 So Channellock is still my go-to and if my Channelocks broke tomorrow I might get a pair of Knipex pliers to replace them. I used to be this way too until I started using some tools with extra features that just made sense. The best example for me is the x-in-1 screwdrivers. I think the quick adjust of the competitors definitely makes sense. What is the price diff between the Milwaukee and the CL? I have a pair of CLs and they work just fine but there is nothing special about them. I usually have at least 2 of every common hand tool. A set for the garage and a set in the truck. I’d probably get the Milwaukee for my 2nd set because I’ve been really impressed with the rest of their new hand tools. I found 12″ Milwaukee’s for $30 and a comparable pair of Channellocks for $17 online (not sure what a big box would charge). The Irwin pair, I’ve seen at my local HD and they were priced about $18. 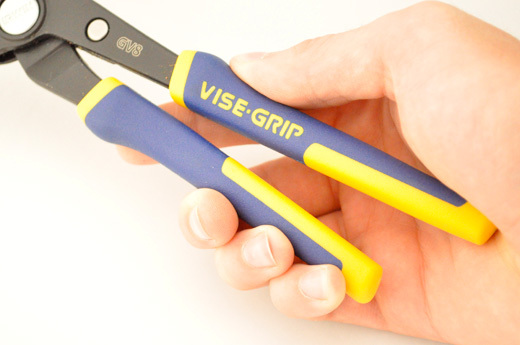 I own Vise Grips and I swear by them. I like the added features the channel locks are getting dusty but then again they were my dads old ones he gave me. 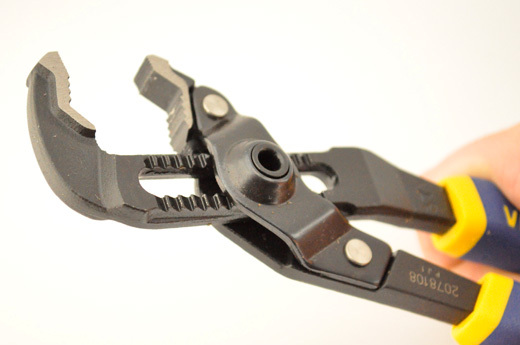 Regarding Channellock innovation or lack thereof, they’ve actually been making improvements here and there, most notably on their lineman pliers. From what I’ve seen, the new Milwaukee pliers will be about DOUBLE the price of the comparable Channellock styles. In my opinion, if you’re looking for premium pliers, there are quite a few alternative brands to choose from that have decades of tried and true design and manufacturing experience. The Milwaukees do look decent, but looks can be deceiving. I’ll reserve judgement for when I can one out firsthand. I love good, tried and true quality as well, but I think there’s a danger in resting on laurels. I like multi-purpose tools as much as possible, and so I enjoy it when someone combines them well. There can be a risk in it (because maybe the combo tool does neither function very well), but if they get it right, it takes less space in my toolbox, and storage space is money… I think Channellock needs to keep their eyes forward – driving down the price of their traditional proven tools and putting some entries into the more innovative stuff to see what works. I love having so many tools , some of my friends call me tool lover , I already have a Channellock like the one in the first picture , they are so useful and easy to use, Thanks for this great article on Channellock. If it works, it works. Often simple is better. That push button adjust I think would bother me. 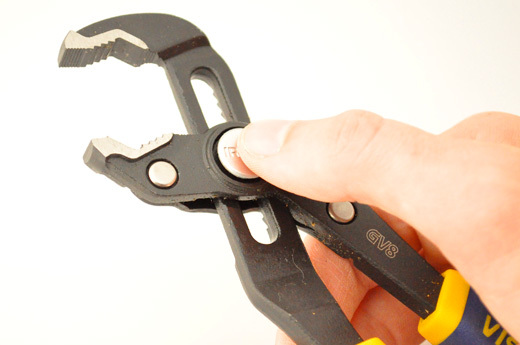 Also, what about more expensive tools, like Knipex’s many versions of a Channellock-type plier? Functionality and strength are both considerations. Innovation is good, but like fishing lures, ” NEW” doesn’t always mean better. I like Channellocks, but the others there look interesting.